Global Greek World: John Psathas - A Greek-Something Composer for Athens' Magical, Unforgettable, Dream Olympics!!! ΚΑΛΩΣ ΗΛΘΑΤΕ! Kalos ilthate! Welcome! Welcome to the Global Greek World - a world of Greek-Somethings which stretches from Auckland to Zanzibar, from Aruba to Zimbabwe. Wherever you are in the world, this is YOUR world! 20 Question Time... Global Greek Style! 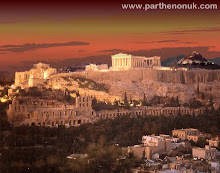 John Psathas - A Greek-Something Composer for Athens' Magical, Unforgettable, Dream Olympics!!! 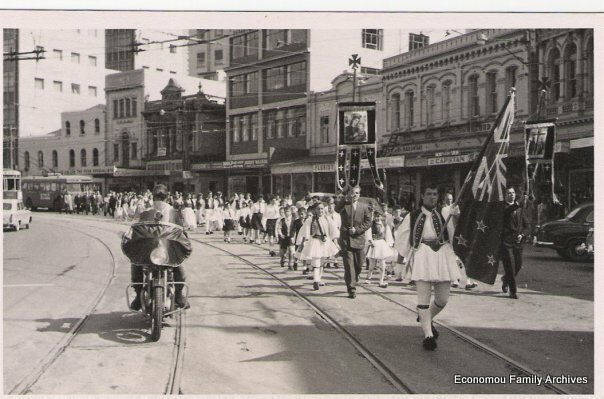 Celebrated Greek-New Zealand composer John Psathas is one of our Global Greeks. John is one of New Zealand's most frequently performed composers, and one of the finest and most talented of the younger generation of composers in New Zealand. His music is energetic and vibrant, with a passionate exuberance that is a product of his Greek heritage. One of the few, if not the only, Greek-Somethings to be involved in such a way, John's music was a major part of the Athens 2004 Olympic Games Opening and Closing Ceremonies and the highlight of his career to date. John commuted several times between Wellington and Athens to work on the music and supervise the rehearsal process. His music included a number of fanfares and processionals to accompany the arrival of the IOC President, the lighting of the Olympic cauldron and also the music that preceded the Olympic oaths, and he was responsible for the soundtrack to the entire flame sequence of the ceremony. 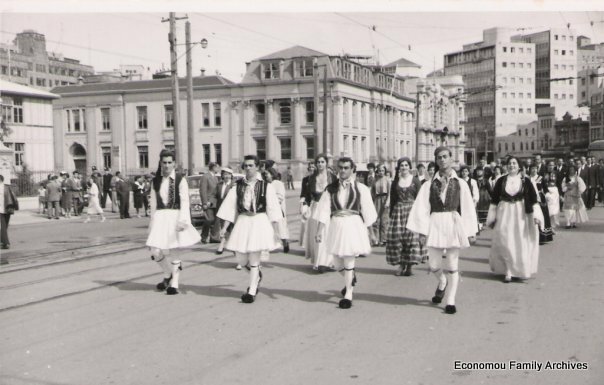 John also arranged the National Anthem of Greece, the Olympic Hymn and music by Shostakovich, Debussy and the foremost living Greek Composer Mikis Theodorakis that accompanied other parts of the ceremony. Listen to John's superb arrangement of the Olympic Anthem. Born in New Zealand to Greek parents, Emmanuel and Anastasia, who have since returned to live in the family town of Michaniona in Northern Greece, today John lectures at the Victoria University School of Music but visits Greece regularly both for personal and professional reasons. Apart from his numerous visits to Greece in preparation for the Olympics, in December of 2006 he gave a series of concerts in Cyprus and in Patras, which was the Cultural Capital of Europe that year. His music is heard regularly on the world's concert stages, and has been performed by Michael Brecker, Joshua Redman, Evelyn Glennie, Pedro Carneiro, Federico Mondelci, Michael Houstoun, and many fine ensembles. Some of John's most recent compositions are View from Olympus, which he wrote while on Sabbatical in Greece and stayed at the top of New Zealand's classical charts for 5 months, and ‘Zeibekiko’, an entire programme of Greek music celebrating the heritage of Greek music from Antiquity to the present day. ‘Zeibekiko’ was commissioned by the Eduard van Beinum Foundation at the request of the Nederlands Blazers Ensemble - an invitation to John to create an entire programme based around the theme of 2500 years of Greek Music and was performed by the Nederlands Blazers throughout Holland, at the Bath Festival UK and at the 2006 New Zealand International Arts Festival among others. The ambience of the Zeibekiko, a Greek dance traditionally performed by men, sets the tone for this magnificent programme which evokes the beauty of the Mediterranean as we accompany John on this musical journey as he explores his ancestral roots. His programme includes the first Hymn to Apollo from Delphi, traditional folk and popular music, as well as original compositions -wonderful and unique, classic Psathas! For the performances of Zeibekiko, John worked closely with two very gifted traditional Greek musicians, Clarino virtuoso, Manos Achalinotopoulos and master percussionist, Vagelis Karypis. On August 29 of the same year, his’ "Olympiad XXVIII" had its World Premiere in Beijing at Forbidden City in the context of Beijing’s Olympic Games. Olympiad XXVIII is a new suite of symphonic arrangements based on John’s music for the Opening and Closing Ceremonies of the Athens 2004 Olympics Games. 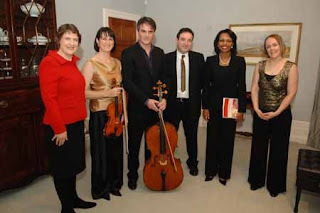 In 2008, John's composition 'Helix' was played by the New Zealand Trio at Government House in Auckland, to a private audience of Prime Minister Helen Clark and visiting US Secretary of State Dr. Condoleezza Rice. Although his music has been performed at the Megaron Mousikis (The Athens Concert Hall) in the past, it would be fantastic to see one of John’s Greek-inspired works either ‘View from Olympus’ or 'Zeibekiko' performed at either the Herodeion or the Megaron!! "John Psathas is one of the most talented composers of his generation. He produced wonderful music which added a lot to the success of the music in the ceremonies." "Many of his compositions have an energy and drive more extreme than any other music I know - it sweeps one up on a frantic roller-coaster ride and carries one to that height of exhilaration." Named an Arts Laureate by the Arts Foundation in 2003. His album Rhythm Spike was BEST CLASSICAL ALBUM 2000, and Fragments BEST CLASSICAL ALBUM - 2004, in the NZ MUSIC AWARDS. At Victoria University School of Music he is nurturing a new generation of composers. The NZ Herald named him as a contender for New Zealander of the Year 2004. He was awarded Officer of the New Zealand Order of Merit (ONZM) in the 2005 list for his services to music. We welcome feedback from our readers, but please keep your comments polite and respectful. Anonymous comments will be evaluated and published only if considered appropriate. 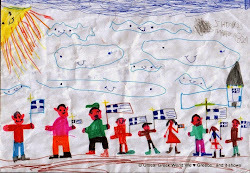 Greek National Day Parade Through the Eyes of a Child. Χριστός Ανέστη - Χρόνια Πολλά! Christos Anesti - Kalo Pascha to All! Χριστός Ανέστη-Καλό Πάσχα! Christos Anesti-Happy Easter! ‪#‎Greek‬Easter is NEXT Week - Palm Sunday today! An Australian decided to write a book about famous churches around the world. So he bought a plane ticket and took a trip to England thinking that he would start by working his way across Europe. On his first day he was inside a church taking photographs when he noticed a golden telephone mounted on the wall with a sign that read "$10,000.00 per call". The Australian, being intrigued, asked a priest who was strolling by what the telephone was used for. The priest replied that it was a direct line to heaven and that for $10,000.00 you could talk to God. The Australian thanked the priest and went on his way. 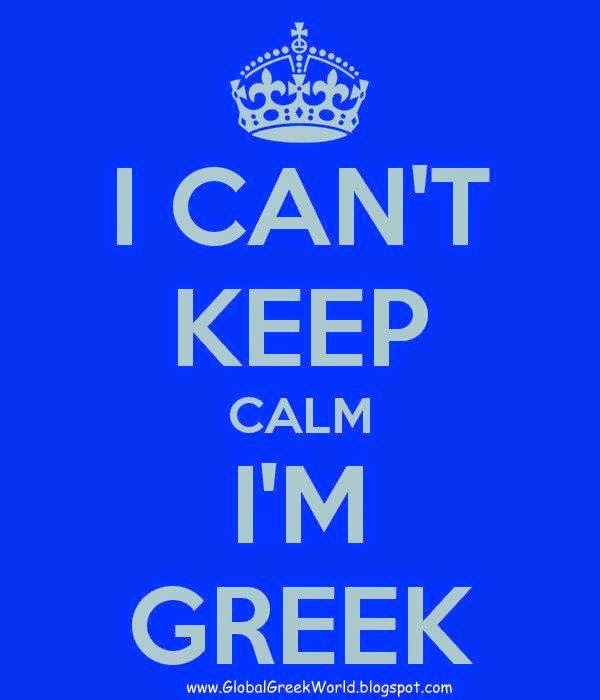 I am not an Athenian or a Greek but a citizen of the world. ΖΗΤΩ Η ΕΛΛΑΔΑ! 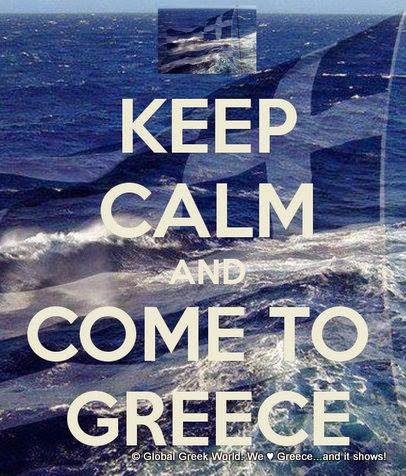 LONG LIVE GREECE! PRESPES AGREEMENT GREECE-FYROM:YES OR NO? 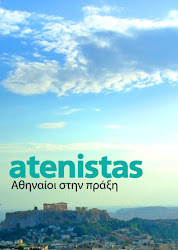 ATENISTAS - WE LOVE ATHENS!!!!! 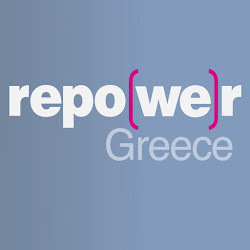 Translate easily from grenglish to greek! we do not know which the outcome of World War II would had been.